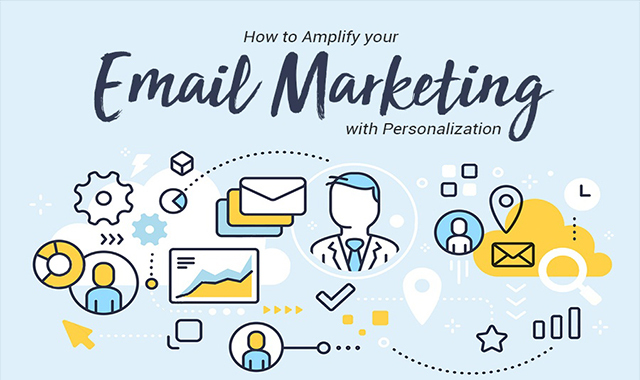 How to Amplify Your Email Marketing with Personalization #infographic ~ Visualistan '+g+"
Email marketing remains one of the most cost-effective and impactful marketing strategies, and personalization is the key to maximizing your ROI through the process. Personalized emails help you to build relationships with your customers, which can increase customer loyalty. It can also help you to increase conversions, engagement, and customer retention. Research shows that 62.27% of North Americans are more likely to respond to a retailer if the email is specifically created for them, while 55% of customers look forward to discounts and promotions that are more specific to their interests. In addition, 95% of marketers have witnessed a drop in unsubscribe rates and improved open rates when utilizing personalization.